Recover lost data from a host of multimedia devices ranging from digital cameras, PDAs and mobile phones to PC Hard Drives. The program supports recovery from CompactFlash cards (type I/II), IBM Microdrives, SmartMedia cards, MultiMedia cards (MMCs), Secure Digital (SD) cards, Memory Sticks and CD/DVD disks and can recover a wide range of file formats: JPEG, GIF, BMP, CRW, etc. Recover lost data from a host of multimedia devices ranging from digital cameras, PDAs and mobile phones to PC Hard Drives. Digital PhotoRescue Professional 6.16 is a shareware program and can be used as a demo to try the software until the free trial period has ended. A full version of the program is available after the trial period ends. For security reasons, you should also check out the Digital PhotoRescue Professional download at LO4D.com which includes virus and malware tests. Additional screenshots of this application download may be available, too. Featuring the very best in free file recovery software downloads. Editing staff adds reviews and free download links and constantly updates software. 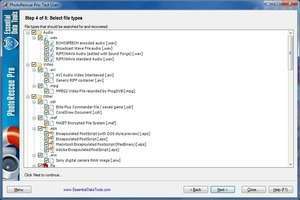 Check out some of the freeware downloads available in the file recovery software category. They contain no strings and are available at zero cost. 3.8 out of 5 based on 8 ratings. TrustRank Based on many factors, we give this program a Trust rating of 7 / 10.